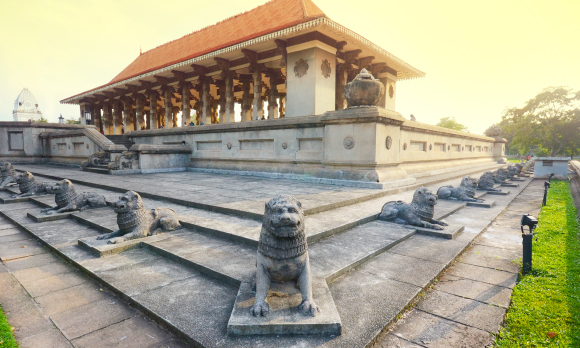 city of Anuradhapura, Sri Lanka's ancient capital, has many ruins dating back more than 2,000 years. · Arrive at Bandaranaike International Airport and meet our local representative at the pick-up point. · En route to hotel You will see many spice gardens at Mawanella on the Colombo-Kandy road where Cinnamon, Cardamom, Pepper Creepers and all other spice trees, plants and creepers are planted for visitors to see them. · Have a comfortable stay at your accommodation and take some time out to wander around the city to admire its beauty and soak in its culture. · Enjoy a scrumptious breakfast and savour the local delicacies. · After breakfast explore the city of Kandy, including Upper Lake Drive, Market Square, Arts & Crafts Centre, Gem Museum & Temple of Tooth Relic. Kandy the hill capital, venue of the annual Perahera the last stronghold of the Sinhala Kings was finally ceded to the British in 1815. Kandy is an example of the Buddhism's influence in Sri Lanka today. · TEMPLE OF TOOTH RELIC ever since 4th Century A.D, when the Buddha's Tooth was brought to Sri Lanka hidden from sacrilegious hands in an Orissan princess' hair, the Relic has grown in repute and holiness in Sri Lanka and throughout the Buddhist world. It is considered Sri Lanka's most prized possession. · ROYAL BOTANICAL GARDENS, PERADENIYA This majestic botanical garden is 147 acres in extent and was started in 1374 as a pleasure garden of the Kings of Gampola and Kandy. There are more than 5,000 species of trees, plants and creepers. · By the night experience a CULTURAL SHOW where you will be taken to mind blowing Sri Lankan culture extravaganza… Get ready for Heavy drumbeat and acrobatic act. · After breakfast proceed to Colombo. · Pinnawala Elephant Orphanage – Approx. 55 miles from Colombo, off the Colombo - Kandy road is Pinnawela. Here an orphanage was started in 1975 to house abandoned and wounded elephants. The number of elephants has increased to more than 65 now; including baby elephants brought from various parts, as well more than 25 babies born because of the captive breeding programme. 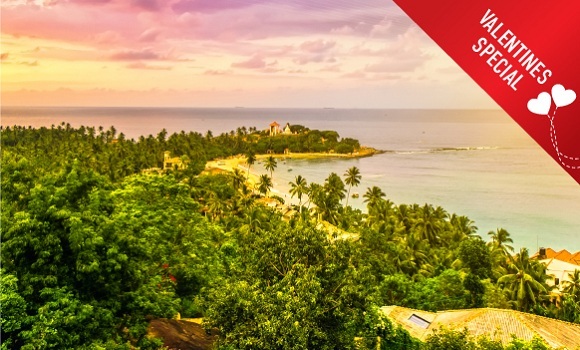 · After breakfast explore the city of Colombo. Colombo a drive through the city taking you to the busy commercial areas as well as the tree lined residential, Cinnamon Gardens, Visit Fort, the former British administrative centre and military garrison, Sea Street - the Goldsmiths quarters in the heart of Pettah, the Bazaar area, where is also a Hindu Temple with elaborate stone carvings, and the Dutch Church of Wolfe dhal dating back to 1749. Also visit the BMICH, see the replica of Avukana Buddha & the Independence Square.